BTC Campus introduces the world of business to the young people of Pomurje for the second year in a row • BTC d.d. The programme had been organised for the second year in a row by the BTC Company together with the Employment Service of Slovenia, the Centre of Business Excellence of the University of Ljubljana Faculty of Economics, and the City of Murska Sobota. BTC Campus helps young people acquire key business competencies, facilitates networking, and improves the candidates’ chances of finding employment. After the first generation of thirty young people successfully graduated from the BTC Campus in Murska Sobota in 2016, this year the training programme was attended by another group of unemployed young people under the age of thirty, who were selected by the Murska Sobota office of the Employment Service of Slovenia. The BTC Campus is a unique training programme in the course of which candidates perfect their business skills, tackle concrete challenges, and familiarise themselves with examples of good practice. As they acquire new knowledge and forge new connections, their confidence levels rise. The BTC Campus motivates them to boldly seek employment opportunities and even encourages some to implement their own business ideas. “Knowledge is a long-term investment. I’m glad that we have made it possible for these young people to attend the BTC Campus and improve not only their business skills but also their social skills. By creating opportunities for their development, we improve the short-term employability of graduates in the Pomurje region. 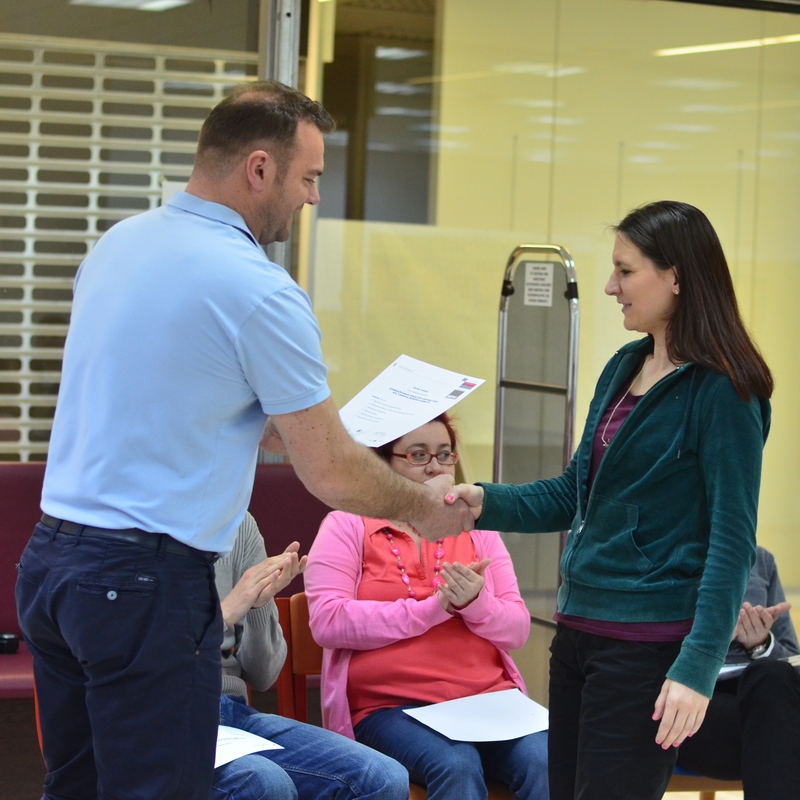 But perhaps more importantly, we contribute to the long-term empowerment of young people towards assuming a more responsible role in the economic and social development of Slovenia,” emphasised Mitja Horvat, Director of the BTC City Murska Sobota business unit, as the programme came to a close. In the course of the programme, participants also received a visit by president of the BTC Management Board Jože Mermal, mayor of the City of Ljubljana Zoran Janković, BTC board member and secretary-general Helena Petrin, and mayor of the City of Murska Sobota Aleksander Jevšek, PhD, who further motivated the candidates to gain new business skills and advance their careers. Meanwhile, the candidates also had a chance to present the ideas they had developed as part of the BTC Campus programme and once again prove that young people do not suffer from a lack of ideas, but rather from a lack of opportunities to prove themselves. The BTC Campus programme, which is also being implemented from March to May 2017 in Ljubljana for the fifth consecutive year, is a prime example of how to successfully interconnect the academic sphere, the industry, and the state. The high confidence levels of young people who have gained the motivation and the audacity necessary for recognising new career opportunities testify to its success. Data show that following the four previously organised programmes, altogether amounting to 150 candidates, more than 80 per cent of the graduates found a job or started their own business. A mark of quality is also the 2016 PriYatelj award, which was given to the BTC Company by the Ypsilon Institute on behalf of the public. All this positions the BTC Company as a responsible actor and creator of developmental opportunities for young people, generators of the future development of Slovenia.